Cut the fish in 1 - 1.5 cm cubes (approximately 1/2 inch cubes) and put it in a big bowl. Add the freshly squeezed juice of the limes, the aji limo or rocoto, and salt. Mix well and let it settle for some minutes before serving. 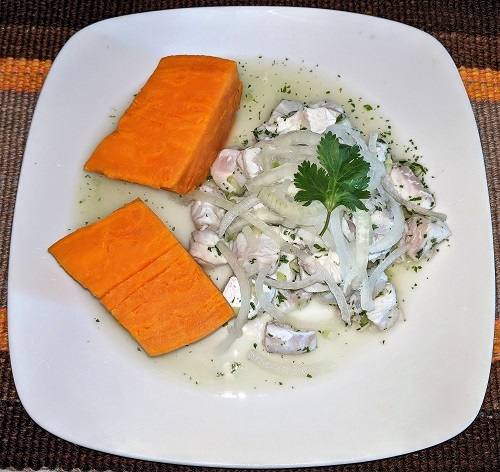 The cebiche should remain cold so let it settle preferably in the fridge. The time to let it settle depends on how "ccoked" you like it, some decades ago people used to eat it really cooked, with the fish turning completely white so they were letting it settle for 15 - 20 minutes or even more. In the last couple of decades the trend changed and people now eat it almost raw so they let it settle only for 2 - 3 minutes. 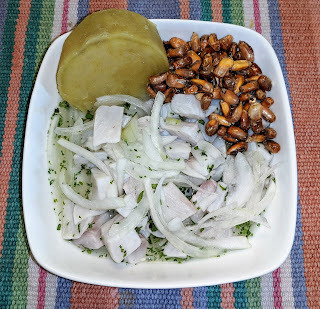 The traditional cebiche only uses fish, lime, hot chili, salt and onions but there are many variations and additions. The one using celery, garlic and cilantro is a popular one. Served it cold with onion slices on top and slices of boiled sweet potatoes as a side. You can sprinkle more hot chili and decorate it with a slice of rocoto, a lettuce leaf or fresh seaweed. 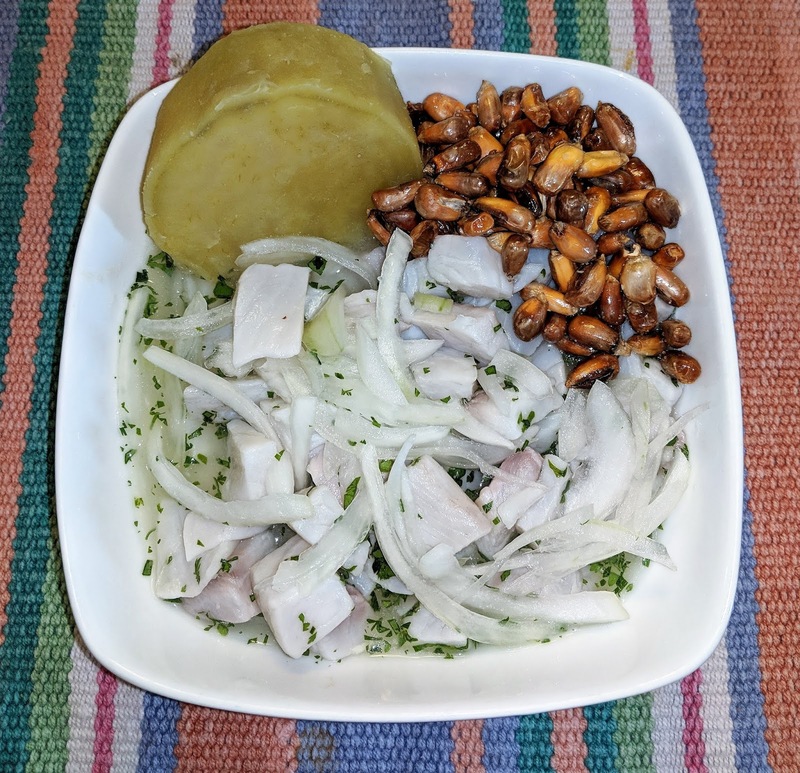 Other sides that are used are cancha salada (salty toasted corn), boiled kernel corn, slices of boiled yucca or slices of glazed sweet potatoes. It pairs really well with cold chicha morada.